We’re always searching for crotch rockets or sports bikes to purchase. 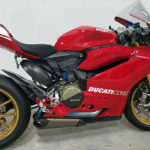 We want to buy any make or any model of sport bike and we don’t care if the sport bike that you have for sale is stock or if it’s fully tricked out. If you have a Honda, Kawasaki, Suzuki, Yamaha or any other sport bike that you want to sell for a fair price without any hassles, contact us. We buy all sizes of sport bikes too. From beginner sport bikes on up, we are ready to buy your motorcycle from you just fill out the form below. Sell Us Your Bike is one of the nation’s largest buyers of used motorcycles. 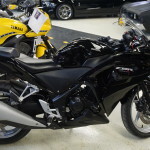 In addition, we are constantly in search of used Suzuki motorcycles to purchase. Which Suzuki motorcycles do we buy? 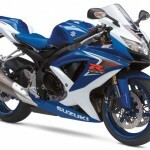 Although there are many types of Suzuki motorcycles, we are always interested in buying Suzuki sport bikes. 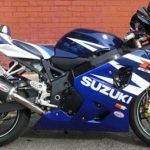 If you have a Suzuki GSX-R, any size from 600 up to Suzuki GSX-R1000 or even a Suzuki Hayabusa, we want to hear from you. Also, just let us know when you are ready to sell your Suzuki sport bike. Sell Us Your Bike purchases Ducatis in good shape from the year 2002 and up. Also, we buy from all over, including areas in Florida, Michigan, and throughout the south and midwest. 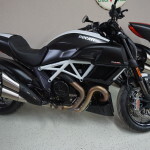 In addition, we have bought bikes from Miami, Orlando, South Beach, Daytona, and many other Florida cities. To start the selling process fill out our quote form below. Affordable great looking sports bikes, the Honda CBR 250 is a great bike to own. The bike is really comfortable with a compact but unstressed riding position. Sell yours today and get the money you deserve! Yamaha motorcycles are in high demand if you live in the right area, this is why we want to buy as many as we can. By selling your motorcycle to the professionals we will ensure that you get the most cash back for your motorcycle investment rather than making you deal with low ballers or tire kickers. We know what Yamaha motorcycles are worth and want to ensure that you get every penny you deserve. 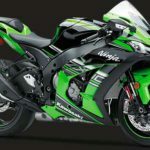 At Sell Us Your Bike we are always looking to buy Kawasaki sport bikes from the year 2000 to today. If you are looking to sell your bike please fill out the form below and be as accurate as possible. The BMW s1000rr is known for its excellent traction-control system. Contact us today about selling your BMW bikes or later models. We will offer the best deal for your BMW bike!